Mrs Himani a 50-year-old lady resident of Navi Mumbai visited Advanced Eye Hospital and Institute with complaints of pain in her left eye , redness and diminished vision with a frequent headache . She was very must disturbed from her professional and personal life. She was not able to work properly and efficiently, had to avoid travelling for her eye complaints. Mrs Himani decided to get an eye check-up done so she visited multiple eye hospitals in Navi Mumbai and Mumbai and was continuously on treatment, but there was no improvement and her condition was deteriorating day by day. She discussed her complaints with her friend, who suggested to visit Advanced Eye Hospital and Institute (AEHI) located at Sanpada, Navi Mumbai. 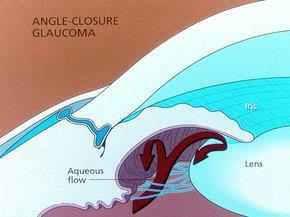 Angle Closure Glaucoma:-It is caused by the rapid and sudden increase in the intraocular pressure (IOP) (Pressure inside the eye). It may lead to blurred vision; pain in the eye, redness, in worst cases if left untreated can lead to blindness. With the help of super specialist doctors and the latest diagnostic technologies Mrs Himani was been diagnosed. Dr. Rajesh Mishra diagnosed the condition as Angle Closure Glaucoma in her left eye. Dr. Rajesh Mishra explained her in detail about the Angle closure glaucoma and started the treatment for her left eye. She was administered eye drops to lower eye pressure and inflammation to prevent further complications. 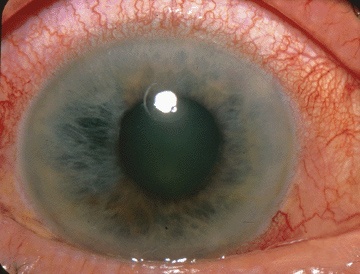 Once the eye pressure and inflammation were reduced, laser treatment was advised. Himani’s eye operation was scheduled and done. Two days after the operation, during her follow-up visits her vision in both the eyes was found to be normalising and her previous discomfort and inflammation have been reduced. The eye pressures for both her eyes were also within the normal range (Left Eye: 12 mm mercury and Right Eye: 10 mm mercury). Mrs Himani’s joy knew no limits. After all, she was happy that she was been diagnosed and properly treated from the best Glaucoma specialists in Navi Mumbai. Seeing her positive recovery, she was called for next follow-up visit after a month.